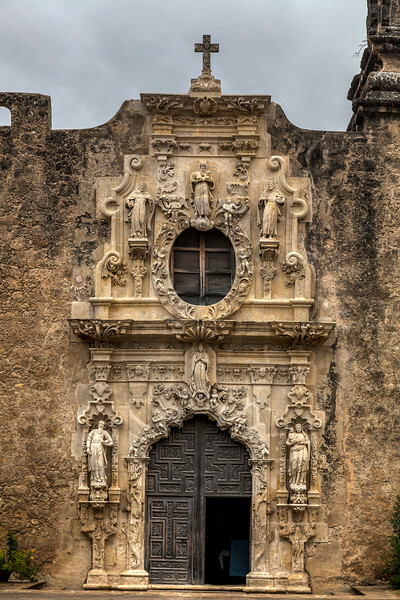 The entry to the church at Mission San Jose, located in San Antonio, Texas. The Mission is a fairly large compound that was founded in 1720. The church itself was constructed in 1768 from local limestone. The architecture is beautiful, and in 2015, Mission San Jose, along with The Alamo and Mission Concepcion, were named World Heritage Sites.